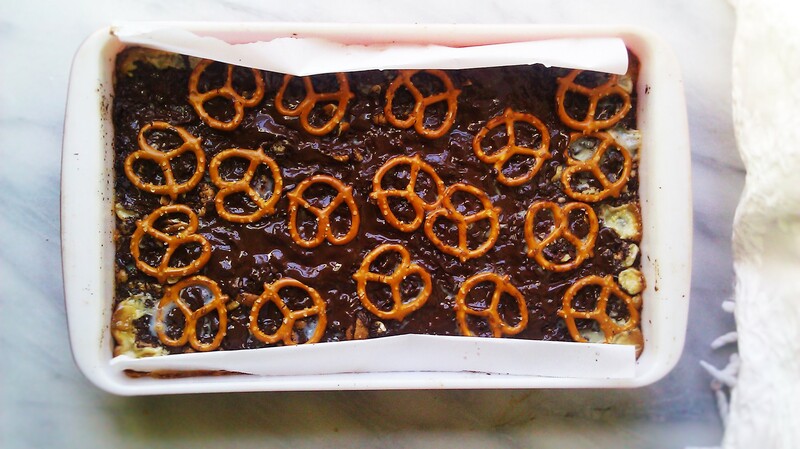 Chocolate Pretzel and Pecan Bars | happyspinach etc. 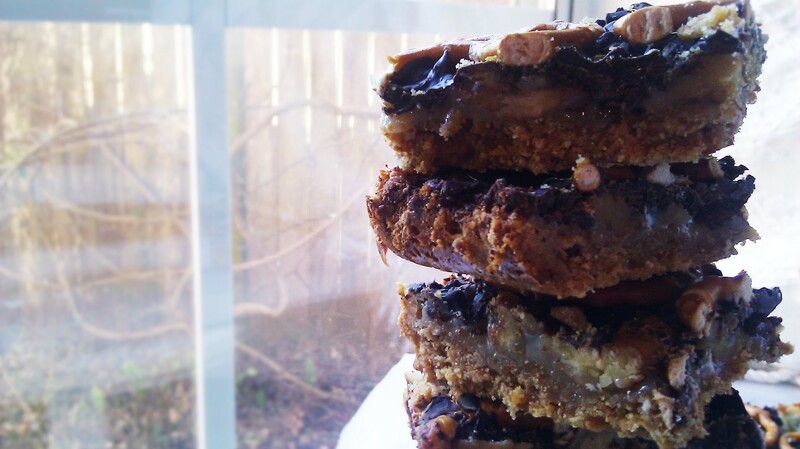 So these chocolate pretzel and pecan bars are shamefully good. Not good, not sort of good, not la quintessence de la bonne. Shamefully good. I could go on to describe the complexity of textures and flavours in this humbly-inspired bar, but I shan’t. Simple things don’t need verbosity; they need to be experienced. Go and make these and experience them for yourself. Adapted slightly from the January/February 2014 issue of Martha Stewart Living. Preheat your oven to 350 degrees F with the rack in the center of the oven. Thoroughly butter a 9 x 13 inch pan, lay a piece of parchment in the pan so that there is overhang, and butter that parchment as well. In a small saucepan, begin to melt the butter and allow it to brown. Pour off into a small bowl and allow to cool while you grind the 275 grams of pretzels in a food processors until they resemble coarse cornmeal. Pour into a bowl and mix in the sugar and melted butter. Combine thoroughly and dump into the buttered dish. 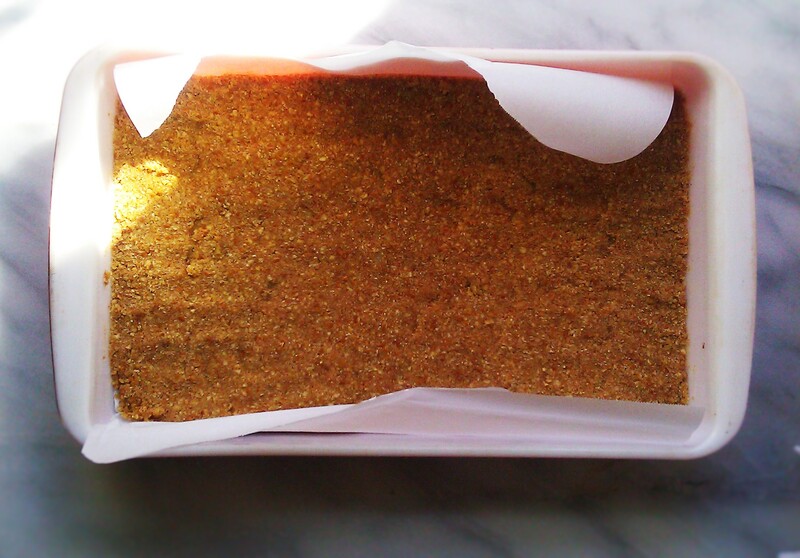 Spread it out evenly and press it down firmly, like a cookie crumb crust. 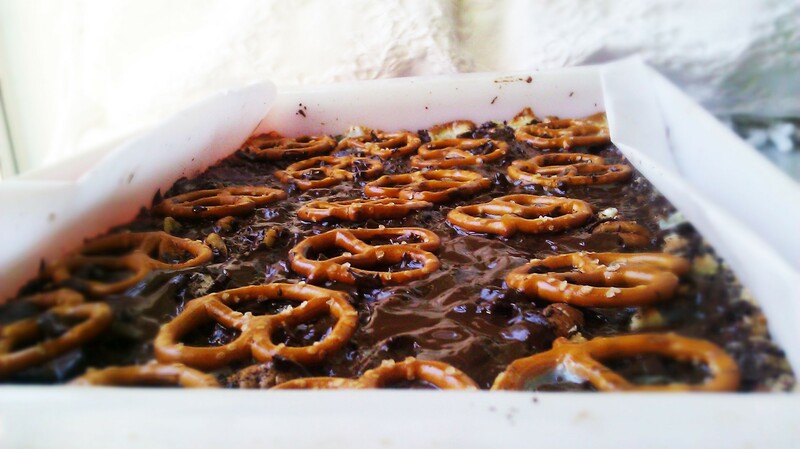 Pour the sweetened condensed milk evenly all over the pretzel crust. 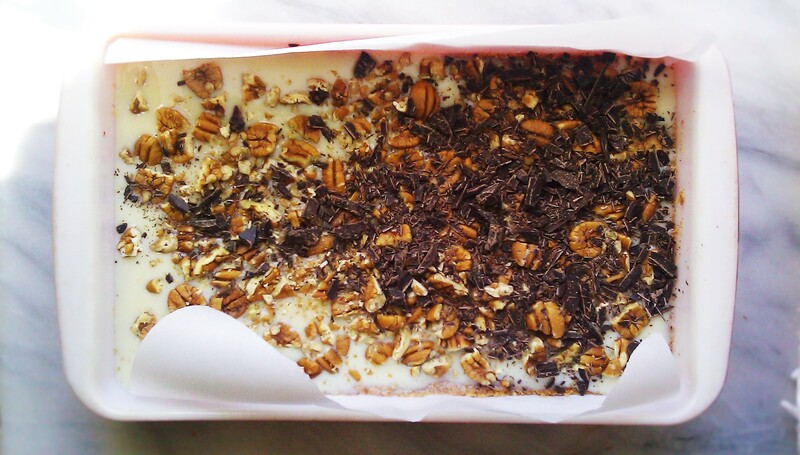 Sprinkle on the pecans and chopped chocolate. Toss on the reserved pretzels. 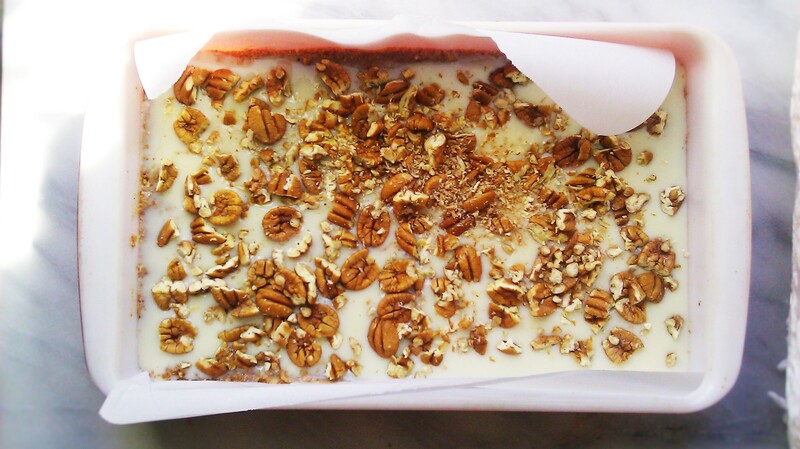 Gently press everything into the milk and pop in the oven to bake for 20-25 minutes, or until the nuts are golden and the milk has begun to caramelize. 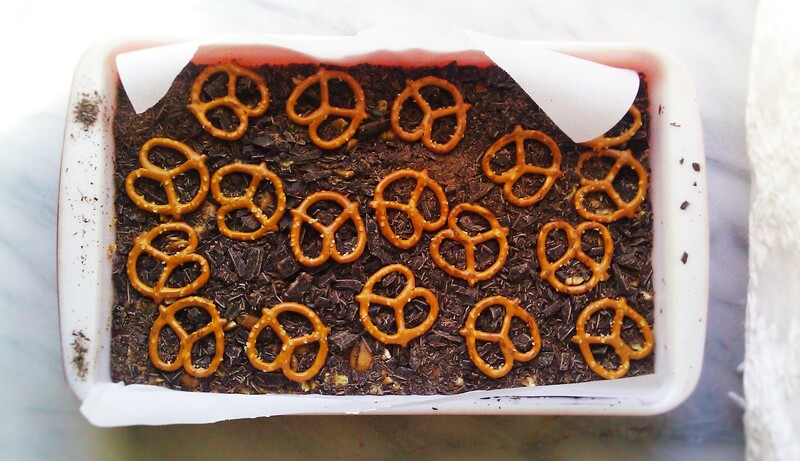 Pull the pretzel bars out and place, in pan, on a wire rack to cool until room temperature. Put in the fridge and chill for at least 30 minutes; the chocolate should be hard. Pull out and remove from pan to cut into squares and serve! Keep stored in an airtight container for up to three days. This entry was posted in Bars, Candy, Cookies and tagged browned butter, caramel, Chocolate, Comfort Food, martha stewart, pretzel bars. Bookmark the permalink.